Gosh, we are already well in to March 2016. Where is this year going? It seems we aren’t the only one’s keeping busy. RMW favourites Emily Kent, hair and makeup artist, from The Wedding Hair Company and Feather & Coal has got exciting plans afoot this year too. The Wedding Hair Company have been members of our Love Lust List for many years now and we can’t recommend them enough. 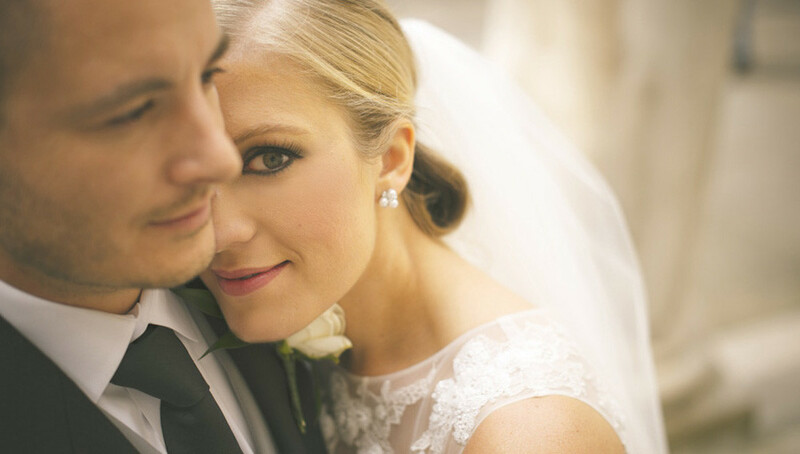 Led by Emily with her hand picked collective of the UK’s top bridal hair and makeup artists they are committed to providing the highest quality service of bridal hair and make up. And if perfecting bridal looks wasn’t enough to keep Emily busy she has recently set up Feather & Coal – a collection of stunning bridal headpieces. We think you will love them. We caught up with Emily to see what she has been up to recently and find out all about her exciting new ventures. Hair & Makeup Artist. Feather & Coal Bridal Headpieces. Q: How have the last 12 months been for you setting up Feather & Coal in addition to The Wedding Hair Company? A: It has been really exciting and full on, I’ve always enjoyed a challenge! The satisfaction I have had from Feather & Coal is massive, being so used to working with brides one on one I of course find enormous enjoyment from that, but seeing brides wearing my own designs, that is a thrill. Q: What are you most looking forward to for your businesses this coming year? A: The biggest addition in 2016 will be our bridal hair courses that we are super excited about. I have done a lot of one to one training in the past but this will be new for us to offer this properly through The Wedding Hair Company. Things have to keep moving forward and evolving and I think this is the next natural stage for the business, to meet new stylists who want to learn skills to take them into a career within this industry. Q: What about styles for 2016, are there new bridal looks coming through for this summer? A: Personally, I really feel a change in bridal hair, its getting more and more classic, simple and timeless which I LOVE. Our group of stylists all have their own eye for it so across the whole company there is variation. Regardless of setting up F&C, working with special and interesting accessories has always been a favourite part of the creative process for me. This year I am already loving working with dried flowers and delicate jewellery. The best thing of all is completing the whole look for a client that has a really clear and strong vision, nothing beats the smile at the end, it’s great! Q: You have been doing hair for a long time now, over 15 years…what has kept you in it? A: I think you know you are in the right career when you don’t even consider it, and that is how it has been for me…I’ve kind of blinked and 15 years have gone. Setting up the companies along side keeping a regular client base has always kept me amused and excited but genuinely I just love it and I’m sure I always will. I found my ‘niche’ as it were about 6 or 7 years ago, in both colouring, cutting, styling and of course make up and I have just worked on perfecting that. Just wao0o for all these hairstyles love them all. specially the one with the black & white pearls, headpiece. i really want one of these for my sister’s wedding, hope i can find one online.